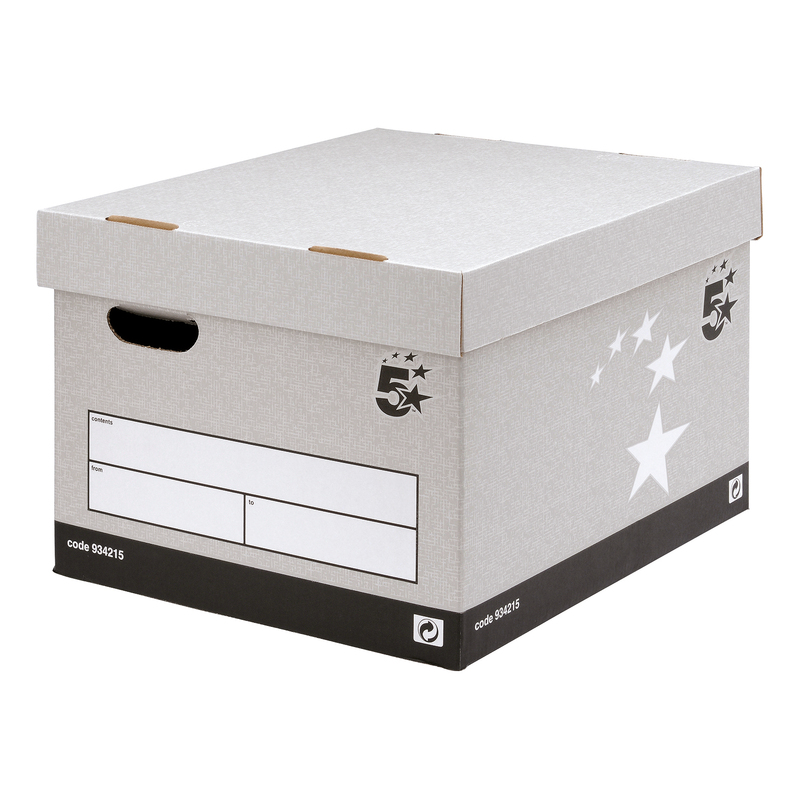 5 Star™ Facilities Extra Large Storage Boxes have a fresh grey basketweave surface design printed on high quality board using water based inks so that they are 100% recyclable. They are made from 100% recycled board and are double sided at the two end panels to ensure additional strength as a medium duty box. 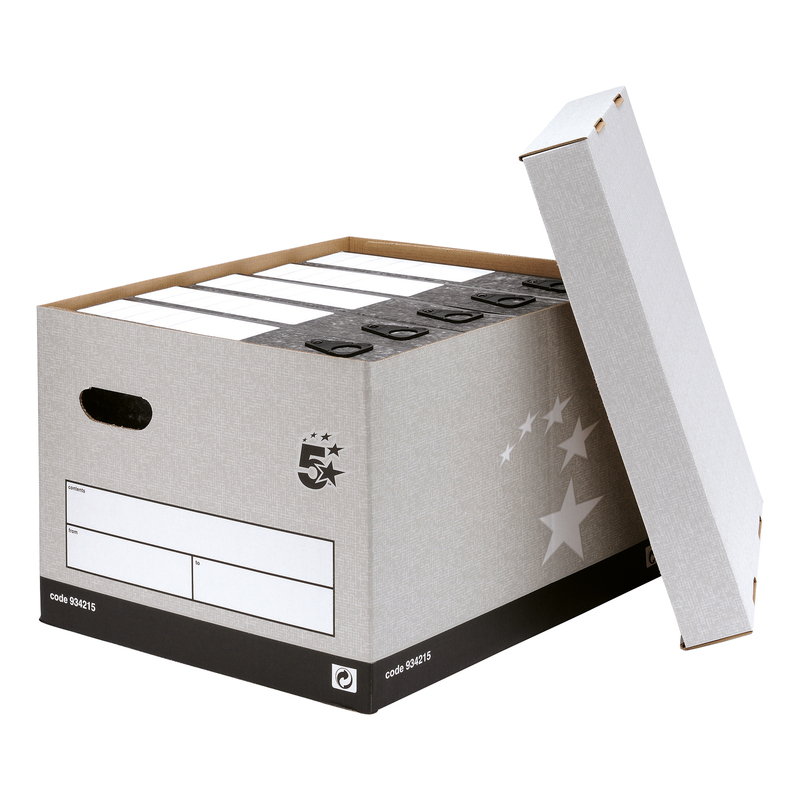 This enables up to 3 boxes to be stacked on top of each other, saving storage space. The boxes are easy manual assembly. This box is designed to hold Transfer Box Files, Lever Arch Files and Ring Binders. They have a larger capacity with greater strength for longer life.